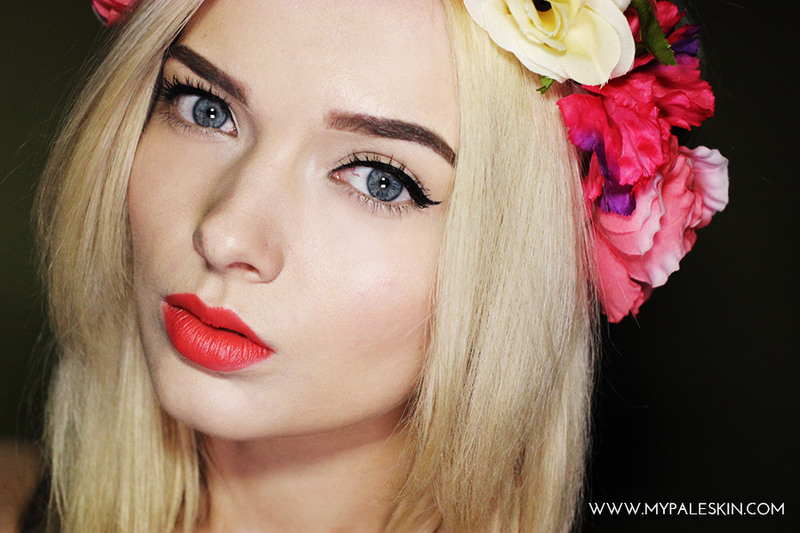 My Pale Skin: Get The Look: Simple, Striking, Summer Make Up! When the sun is shining and the weather is hot the last thing I want to do is put on my make up and head into the sun only to feel it all melt away from my face. The products I used in this look all seem to have a miraculous staying power and can withstand a heat wave, as well as deal with the oh so very British summer rain. As soon as it gets sunny, most girls I know are straight onto the bottle tan and bronzer, but if like me you're keeping your pale skin this summer, then this is a look for you! 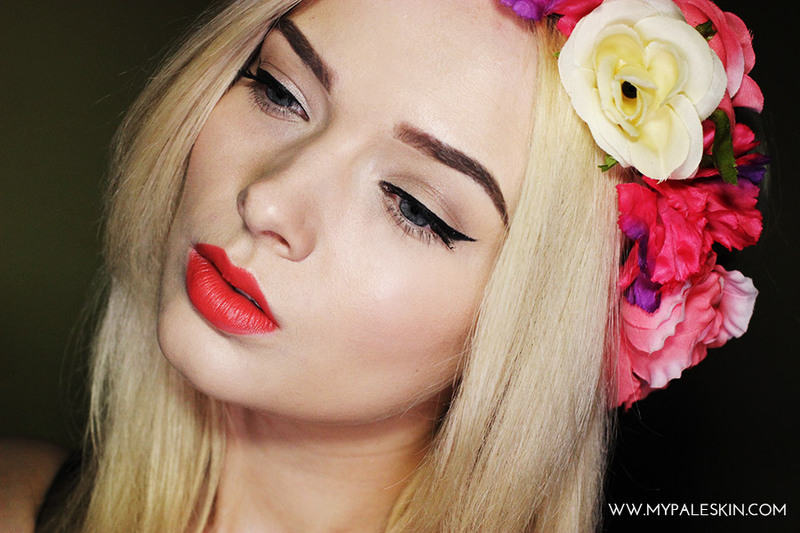 I picked up this flower crown in my recent Primark Haul and I'd been dying to try out a few ideas with it. I also had a few e.l.f cosmetics orange lipsticks in my 'to wear' pile, so thought it would be most fitting to pair them both together. When wearing a statement lip I like to team it with a simple eye to make sure it doesn't overpower me, especially during the daytime. With a few tweaks this look can easily be switched to glam evening summer party style! 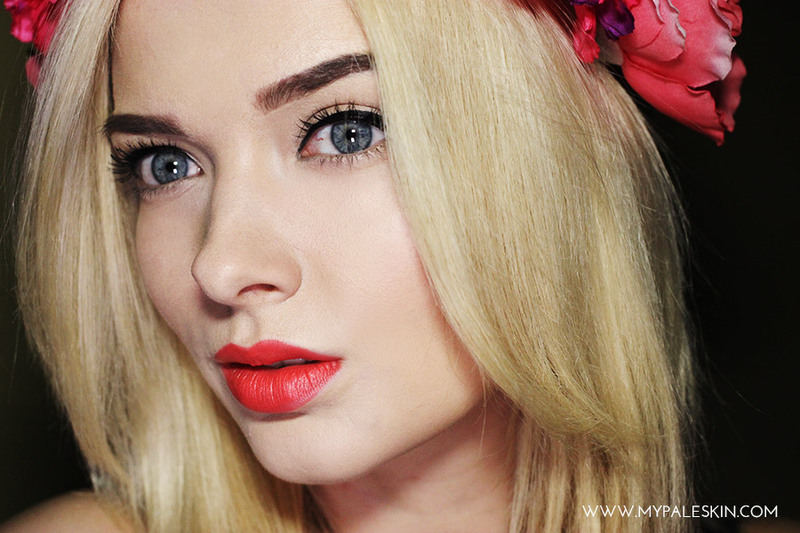 Such a beautiful makeup look, the colour of that lipstick is incredible! That lip colour looks fantastic! i thought it was like MAC or something but its ELF thats so good! Love the look you created here! So flawless and summery! SO need to get Sleek's Rose Gold in my life! New follower! Looking forward to seeing your posts! Lips look amaze! I have never used an e.l.f lippy as i thought they would be quiet drying, but this looks pretty darn convincing! 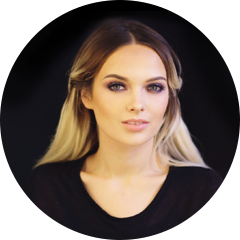 what a beautiful make up look ! you look great ! This is such a nice look, you're so pretty! I love your flower crown! You look beautiful! I looove your lip colour and your eyeliner is perfect!! This is such a gorgeous look! Perfect for summer, I will definitely be trying that lipstick out! I wish I could pull off being pale, but unfortunately when I am pale my legs tend to have a redish purplish tinge to them that I hate! 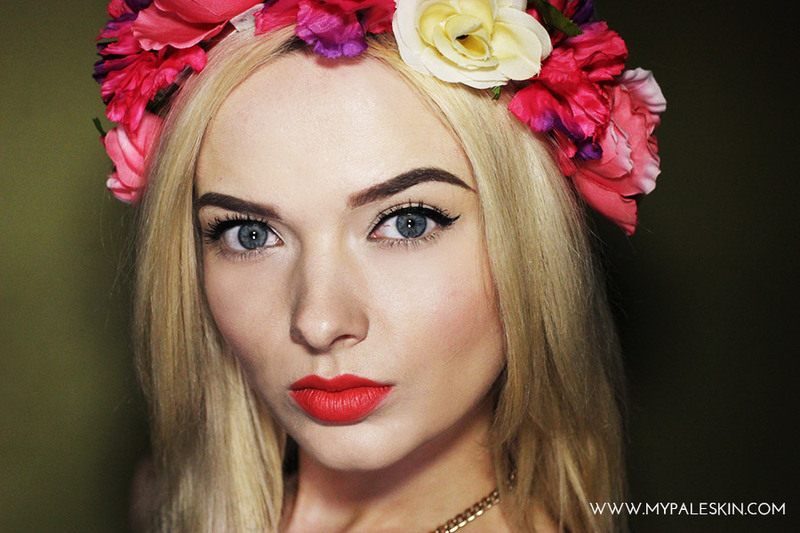 love the lipstick shade and the flower crown! and your eyeliner is on point! I was looking for a new red lipstick, and I think I've found the one! You look absolutely stunning, I love the red lipstick. This is a really nice summer look, and the headband is cute and tops it all off. What a gorgeous look, and I have to say as an esthetician, your eyebrows are seriously on point! I love the contrast between the dark background and the bright colored flowers!